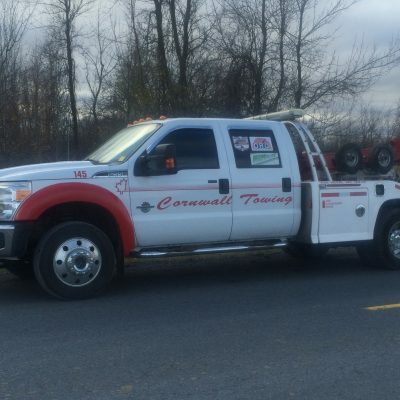 Cornwall Towing has a fleet of very diversified equipment so that we are capable of performing any request. We have the equipment to do light and heavy towing, small recoveries and heavy air cushion recoveries, moving RV’s, all types of equipment, to fueling and boosting. 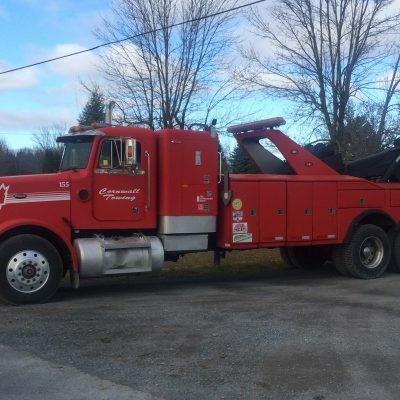 Since 1984 we’ve been in the towing & recovery business, servicing Eastern Ontario, Western Quebec and Northern New York State. We provide a variety of services including light, heavy & motorcycle towing, emergency recovery, flatbed service, relocating sea containers also fuelling & boosting and unlocks. 20′ sea containers rentals are also available, please contact us for details. We provide these service 24 hours, 7 days a week with a professional attitude, qualified personnel, clean uniforms, cleaned and maintained equipment, and a prompt response to all calls or situations that arise. Our crew & equipment is capable of performing any task requested of us regarding any incidents that can occur on the roadway or even on a controlled worksite. 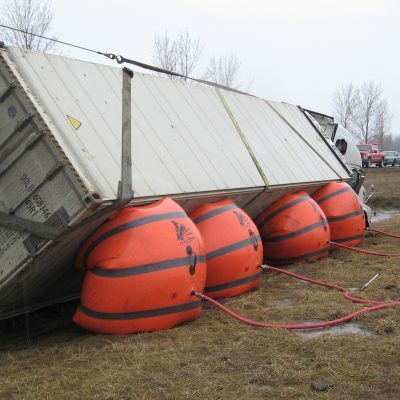 We are capable of uprighting overturned tractor trailers, construction equipment & any miscellaneous large vehicles. As well we can recover vehicles as small as a motorcycle. "You Need, We Serve". 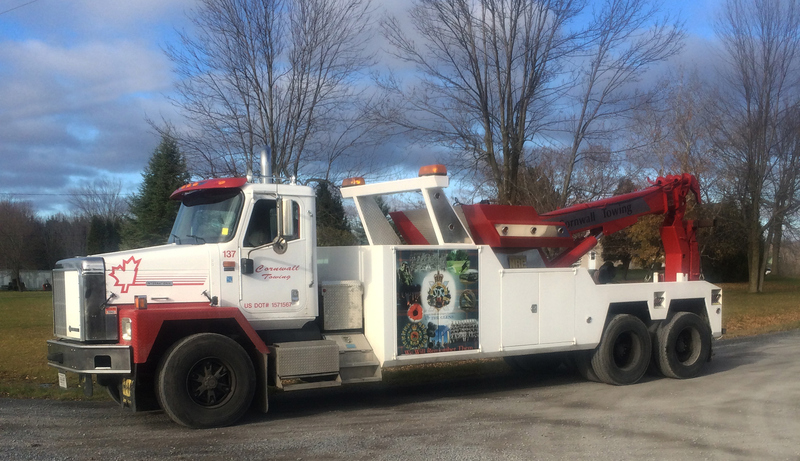 If you have a vehicle or a piece of equipment that is broken down and needs to be brought in for service, we are capable of towing the heaviest set trucks imaginable down to as small as a smart car if need be. We also offer a heavy Landoll / Tilt & Load float service capable of moving various types of equipment including sea containers. This specialized & unique recovery equipment has many uses. We use it to assist in lifting trailers, vehicles & even hot tubs. This equipment has been used many times in emergency situations when assisting first responders. Cornwall Towing is fully trained & certified air cushion recovery operators. 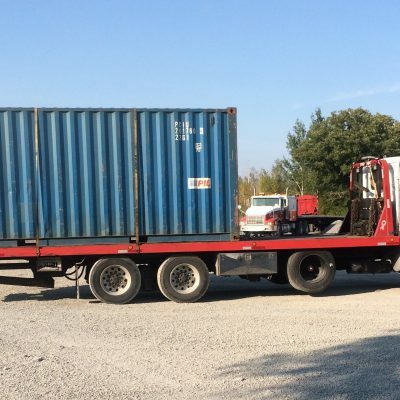 We rent portable and re-locatable shipping containers for dry storage.